Cool jazz tracks for providing a moody atmosphere. 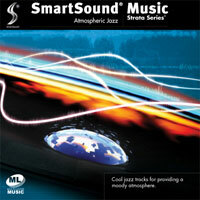 Great for lounge scenes and reflective moments, these smoky jazz combo selections can create a sophisticated setting. When you think of legendary cinema certain images, stars and of course sounds always spring to mind first. 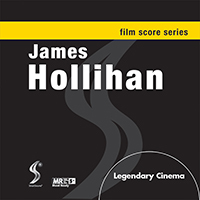 Finally, an album that takes the incredible sounds and styles of legendary film composers Henry Mancini, Jerry Goldsmith, Elmer Bernstein, Miklos Rozsa and Lalo Schifrin and spins them into incredible, original pieces covering many of the great cinematic moments etched into the public subconscious. 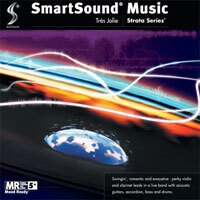 Immaculately produced in SmartSound’s Multi-Layer format, these tracks give you absolute control over their texture, melodies, orchestration and even timing, to help you etch your scenes into your audience’s subconscious. 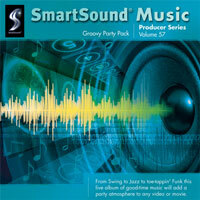 Whip up the perfect atmosphere for your productions with these jazzy backdrops. These snappy numbers will bring life to good times with family and friends. Features playful clarinet and violin. A collection of light, fun, dancehall jazz from yesteryear. 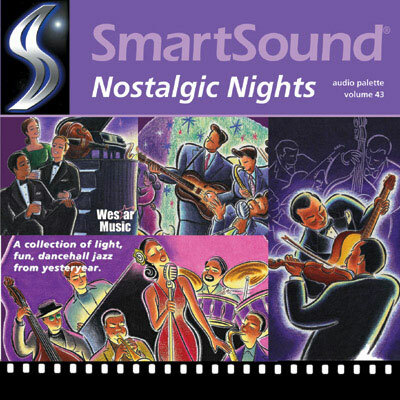 Playful clarinet, sax and violin swing along while jumpin' big band and straight-ahead jazz numbers fill out the collection. Great for sequences needing an old-fashioned touch. 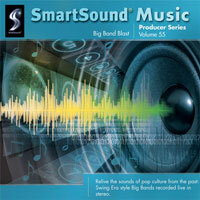 Relive the sounds of pop culture from the past: Swing Era style Big Bands recorded live in stereo. Emblematic of the 'war years' (1930's & 40s'), this upbeat music speaks to the hopes and dreams of an iconic time in American history. Great for film, historic documentary, personal stories and remembrance. With Sonicfire Pro's custom length feature, just type in the minutes, seconds, frames of your scene and you're traveling back in time- instantly. 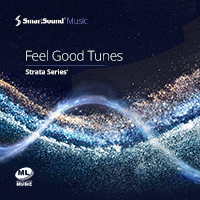 A fresh collection of tracks covering a wide variety of sounds and styles, all designed to accompany those "feel good" moments in life. From super-cool chill, to dirt-edged rock, campy 60's pop, bouncy bass grooves and more, the style versatility is rendered unified with currently-hip, "now" production and positive, uplifting writing throughout. Another great album from SmartSound ready to take on any filmic or video customization needs via our unique Multi-Later formatted tracks. Sophisticated melodies to match active and positive lifestyles. Good for scenes of social activity as well as generally inspiring visuals and narration background. 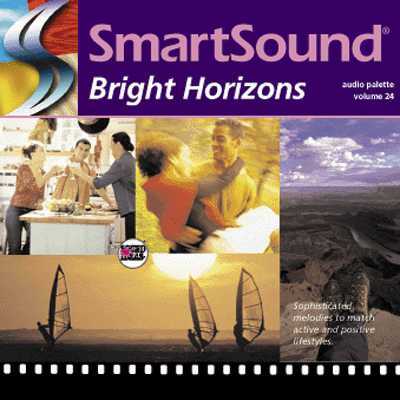 From easy-going guitar and piano features to funky fusion, Bright Horizons brings up the pace in any scene.